Tumble paved drives create a beautiful natural looking entrance to your home. 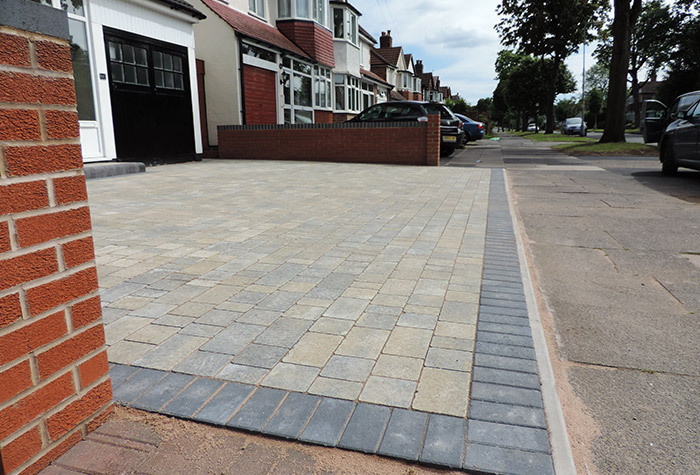 We install a wide range of coloured stone blocks and tumble paving to properties across the Birmingham area. Whether your driveway installation requires stone, clay or cement bricks and tumble paving we can help. We have over 50 years experience and are specialists in block paving and tumble paved driveways. Tumble Paving Driveway Gallery In our portfolio below we have examples of our completed installations.